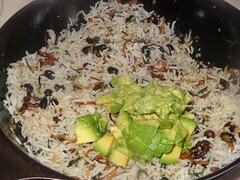 I love simple one pot meal for lazy weekend. At the same time I would like to provide a balanced meal to my kids who nowadays have lunch only during holidays or weekends at home. I had some left over black beans. 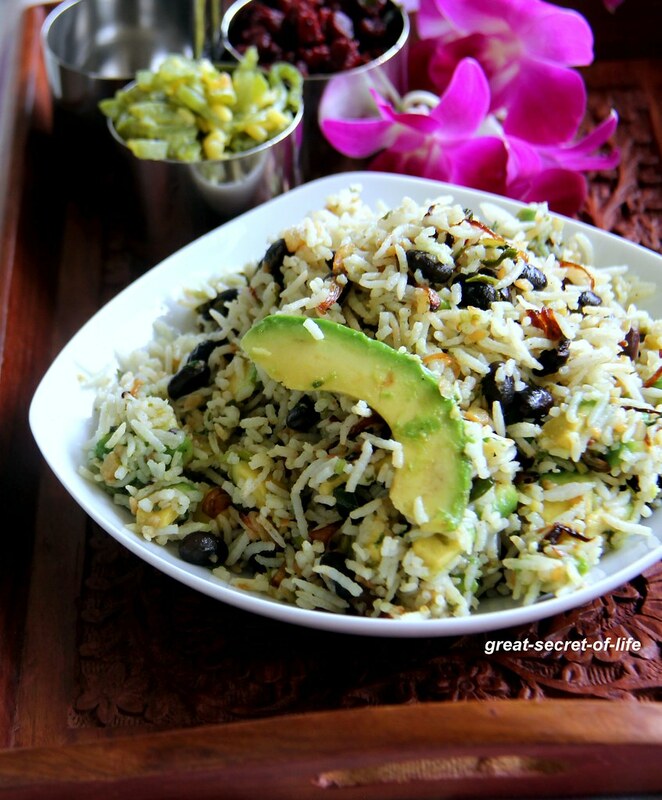 Last time when I was in US I tasted the combo of Black beans and Avocado. 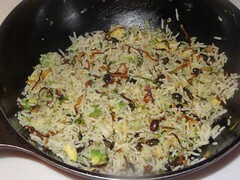 So I decided to try it out as fried rice. 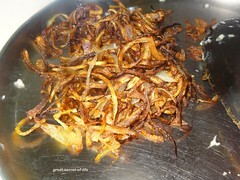 I am pretty sure Garlic and fried onion will add flavour to it. It came out pretty good. 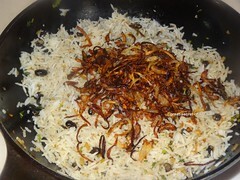 I have used Basmati rice. 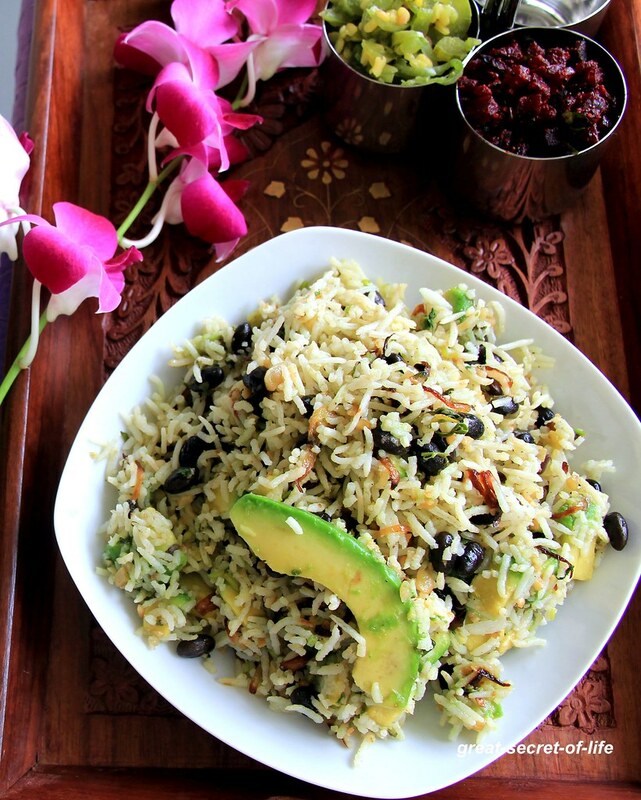 Any long grain rice even brown rice will work perfect. 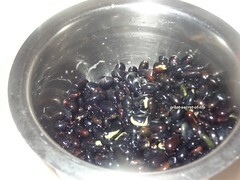 Wash and soak the black bean for 4 - 6 hrs. Cook it with salt. Drain the extra water and keep it aside. 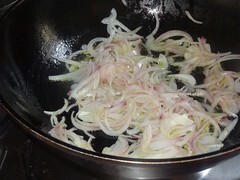 Heat olive oil in a pan and when it is hot add sliced onion and fry till crispy. Remove it from oil and keep it aside. 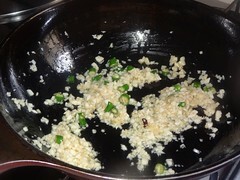 In the same oil add chopped garlic. Fry till light brown. 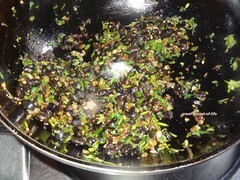 Add green chilles, Black beans and coriander leaves. Fry for a min. 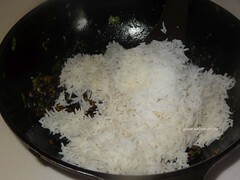 Add salt and pepper powder, lemon juice. Mix it well. 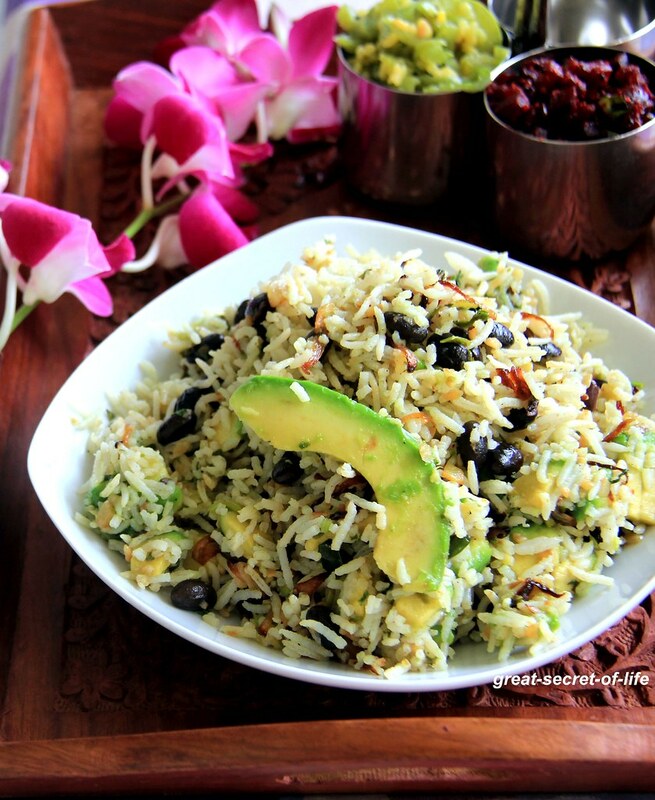 Healthy and delicious rice, would love to try it sometime..